Why were you excited to be a part of this movie? Mindy Kaling: It's a Pixar movie! If you didn't play Disgust, which emotion would you want to play? Mindy Kaling: I think I could've nailed "Outrage." Which of the voices in your head is the loudest? Which are you encouraging to speak up more? Mindy Kaling: These days I have been feeling so grateful for what I get to work on. Between Inside Out, The Mindy Project and writing my book, I'm so happy. I know actors who are miserable no matter what they are doing and complain constantly about their jobs, and I just don't identify with that at all. These are such great jobs to have and it doesn't feel like hard work when the material is so good. Any emotion you think was left out of this movie? Mindy Kaling: Nope, I think the emotions assembled are a great mix and complement each other really well. It's always great to hear the voice actors share their thoughts on characters they bring to life, we hope that the future Inside Out Blu-ray release will include extras with each of the actors. To read the full article, visit People Magazine on Snapchat's Discover channel (download the Snapchat app from the iTunes app store). 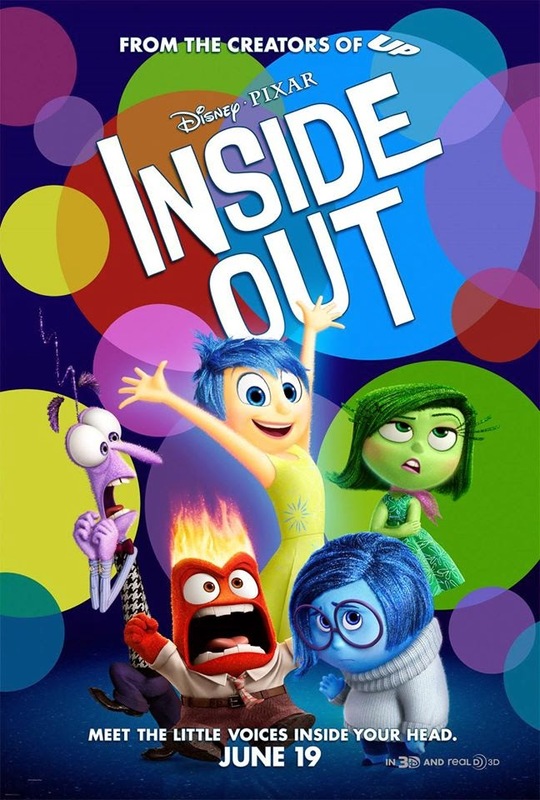 Be sure to share your thoughts with us on this incredible new Inside Out poster on the Pixar Post Forum.